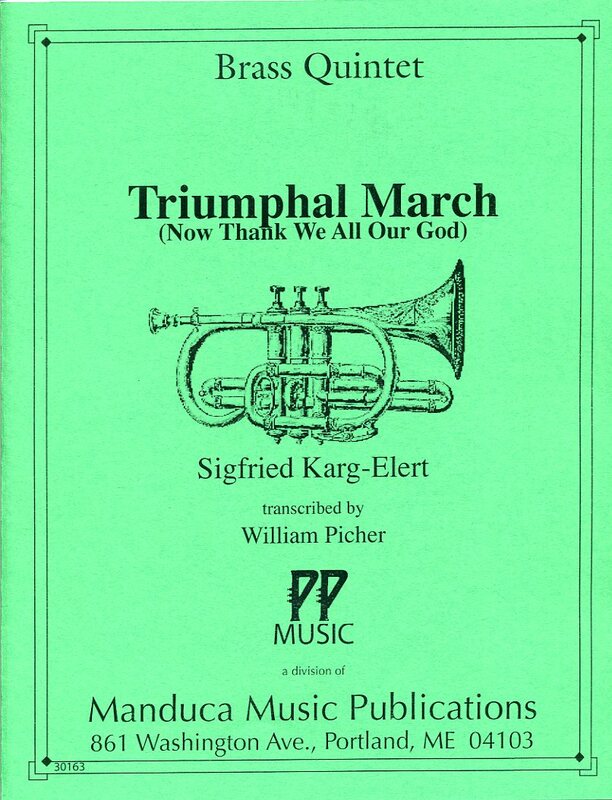 Triumphal March on “Nun danket alle Gott” (Now Thank We All Our God) shows Karg-Elert at his majestic best. Karg-Elert excelled in his use of traditional hymn-tunes as the basis for his organ compositions. 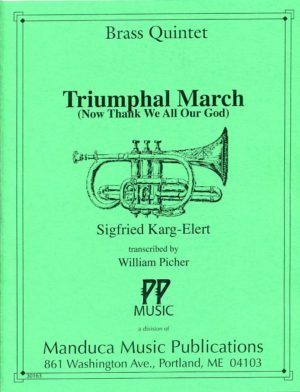 Triumphal March on “Nun danket alle Gott” (Now Thank We All Our God) in an arrangement for brass quintet by William Picher, shows Karg-Elert at his majestic best. “Picher’s transcription…utilizes each instrument to the fullest…a solid composition and should be enjoyable to perform.” (ITG JOURNAL) Parts in Concert F.